Get power and versatility in a small package. 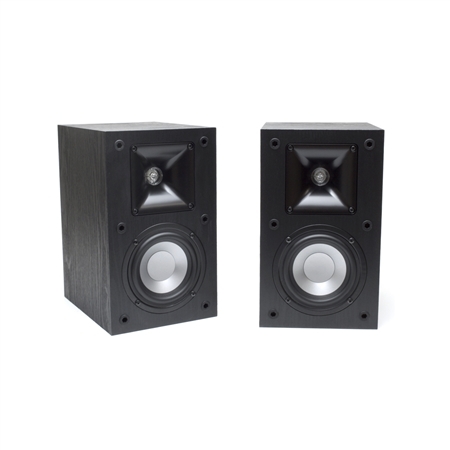 The Klipsch B-10 brings it all as any speaker in your system. This bookshelf shaker performs beautifully as a left, center, right or surround. So, you can own the room without taking up too much of it. Ideal for small to medium-sized spaces, the B-10 packs a wallop. Of course, it comes with the proprietary Tractrix® horn that provides a uniform, 90 x 90 dispersion pattern and allows for placement just about anywhere. That horn works in conjunction with a precise phasing plug at the horn throat for efficiency and clarity.